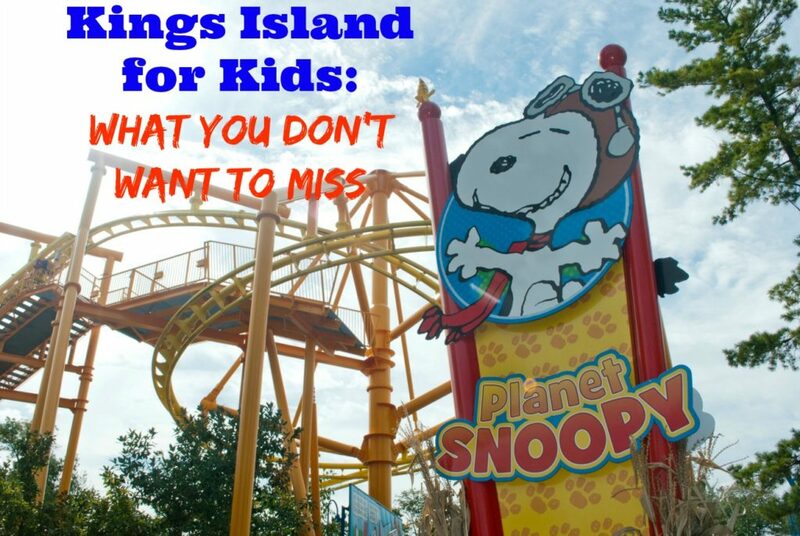 I have been lucky enough to grow up just 30 minutes from Kings Island Amusement Park. Anytime we have family come into town I always suggest a visit to KI. 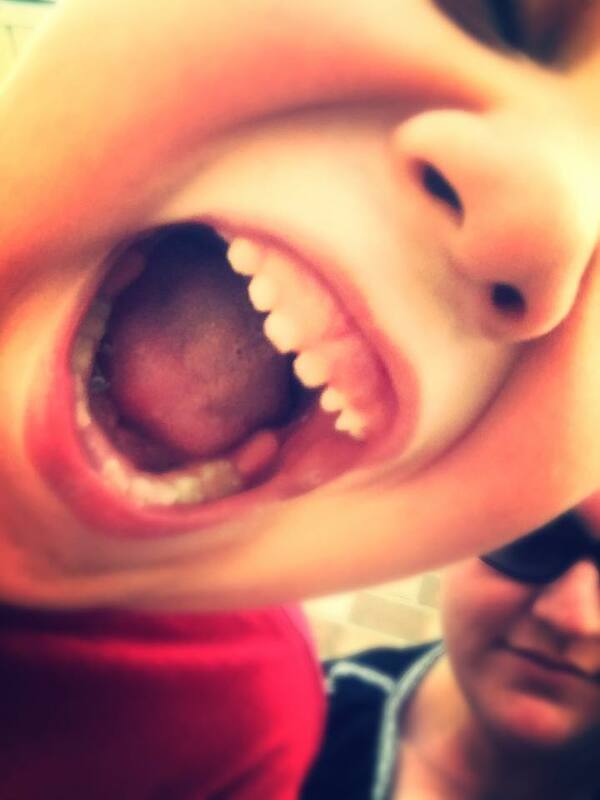 There is literally something for everybody – especially the kids! Recently we had a van full of little ones – ranging from 6 months to 14 years – and we decided to hit the park! The first stop (if you can make it past the smell of LaRosa’s Pizza, fresh fudge, or Starbucks coffee) should be Planet Snoopy! 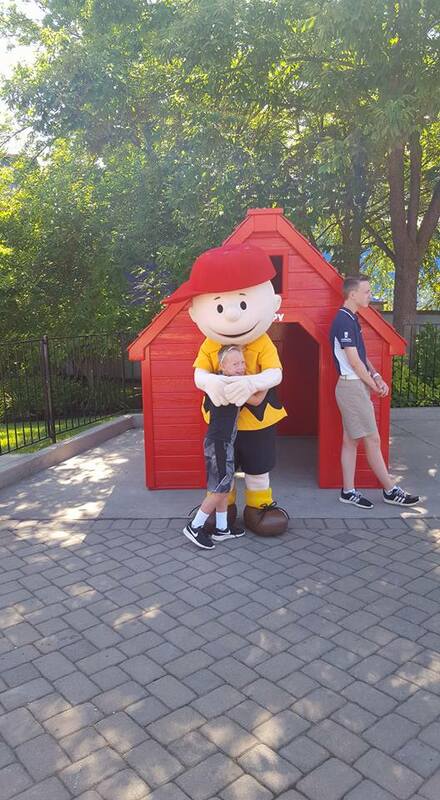 There’s rides, shows, and you even can meet your favorite Peanut characters. This is where the kids always want to hang out! 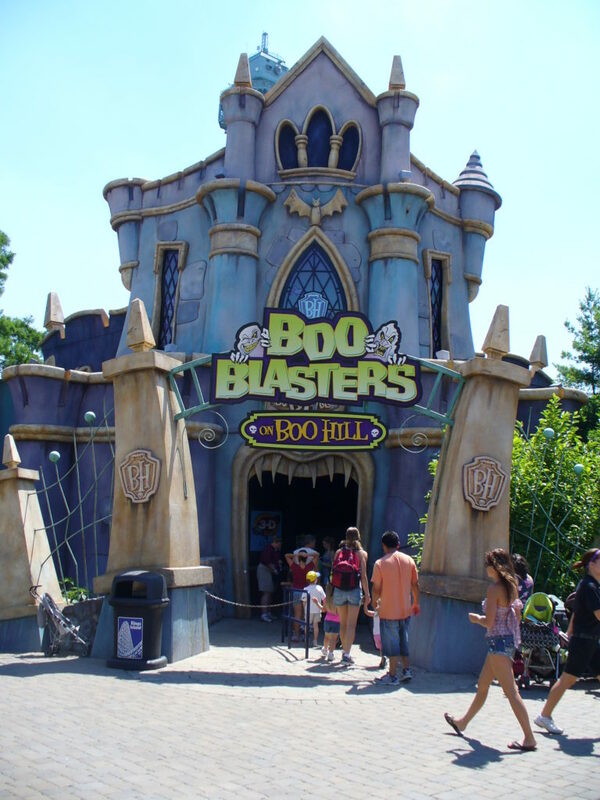 There is one ride that nearly every single person loves – Boo Blasters – one of the first rides that you’ll see when you enter Planet Snoopy. Test your skills blasting the ghosts and more with this awesome ride. I will tell you this is the one that my kids ask to ride over and over again. It also has AC so this is a great ride if you need to get out of the heat (or even the rain). Along with the dozen or so other rides that are so much fun, meeting the characters is always an adventure. Our favorite has always been (and probably always will be) Snoppy himself. 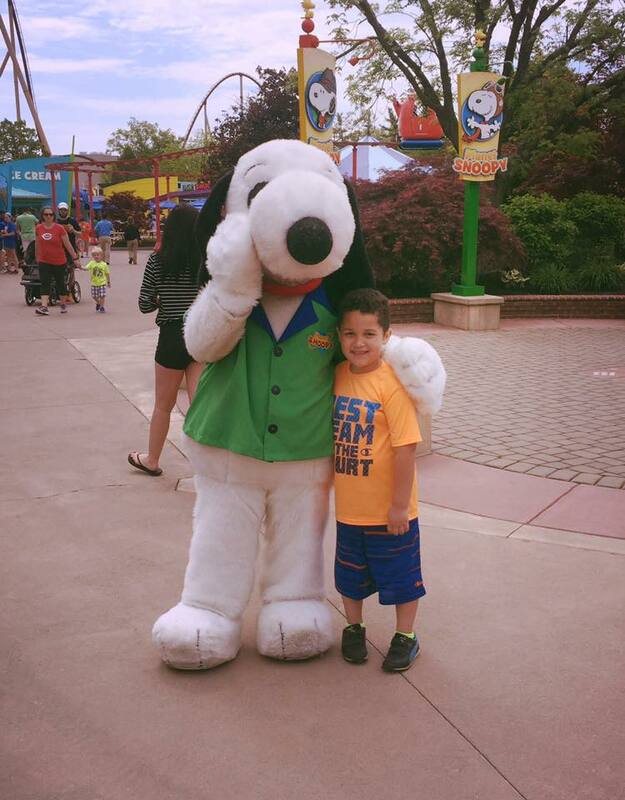 You could spend the majority of your day in Planet Snoopy alone – between the blue ice cream and Chick-Fil-A, there’s no wonder the kids never want to leave! But Kings Island has a lot more to offer, even for the ones who aren’t quite big enough to ride roller coasters. 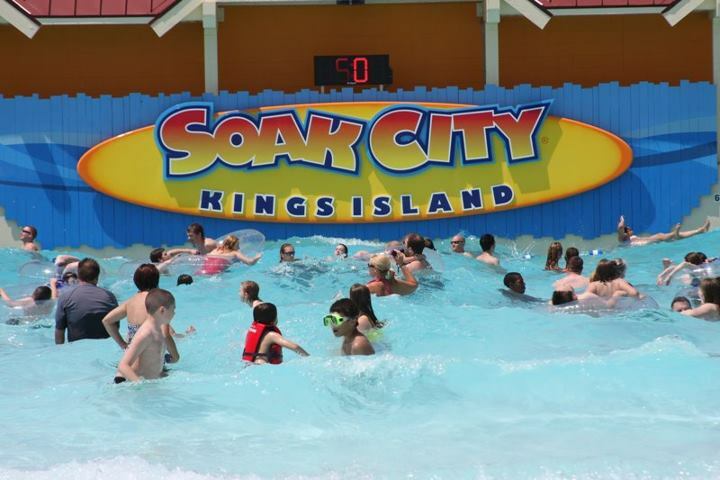 Soak City is the water park area of KI which is FREE with admission. I know so many of the big parks now charge additional for their water park features, which makes Kings Island stand out even more. With their annual pass, you can enjoy the cool or warmer weather – just pick your poison. Soak City has over 50 water related activities – which includes 36 water slides! I would say my two favorites – and the 2 most anyone can enjoy – is the wave pool, and the lazy river. Even if you have a little one there is plenty of ways you can cool off. The kiddie pool areas, or sit them in your lap (with a life jacket on of course) as you float down the lazy river. It’s a perfect way to cool off on a hot day! Don’t forget to check out the merry-go-round, a trip up the Eiffel Tower – and of course the fireworks! There is plenty of fun to have for adults, kids, and everyone in between. So what are you waiting for??? This entry was posted in Cincinnati, Entertainment. Bookmark the permalink.